Fleece jackets with pants are made from micro fleece. 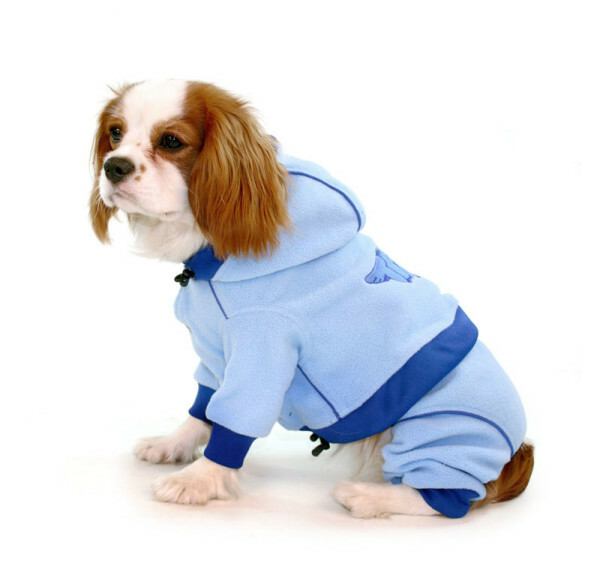 They are lined with mesh that protects dog´s coats very well. The pants are fastened to the jacket with cleverly placed buttons. This allows the jacket to be worn either on its own or with the pants depending on the weather or the occasion. They are both lined with mesh that protects dog’s coats very well. Beneath the collar of the jacket is a small specially made hole which accommodates attaching a leash. They also have a drawstring both in the hood and around the hips that can be tightened.